"More than 20 years with the same Doctor. That should be enough to summarize this review. You'll never want to take your teeth anywhere else. 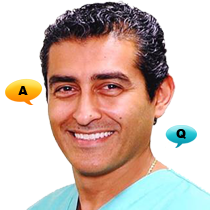 Not only is Dr. Fattahi one of the nicest, gentlest, most competent dentists you'll ever meet -- he's one of the nicest, gentlest *people* you'll ever meet and that energy is everywhere in his office." "Dr Fattahi and his wonderful team of dental technicians and office admin staff have made my rocky road to dental health like a walk in the park. I have been up against some serious dental work, and been in for routine cleanings, and always have felt secure and confident when I am walking out the door. " "Best dentist in town! Not only does he have a beautiful office but Dr. Fattahi really cares about his patients and you can tell he loves his job on the way he interacts with all patients and the great dentistry he does." "I never wait more than 5 minutes before they see me which is amazing considering how many patients they have and compared to literally every other doctor/dentist I have seen in this city. And I cannot forget the hygenists who are all amazing! They are gentle and thorough and really put you at east. Best dentist in DC!" "Everyone was AWESOME!! Dr. Fattahi is very nice and knowledgable. I feel comfortable trusting him with my teeth. I would highly recommend this practice!" "Shhhh don't tell anyone, but I do! Dr. Fattahi is AWESOME!!!!!!! His staff is fantastic!! 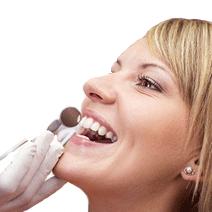 Very personable and go out of their way to make sure every visit to the dental chair is a pleasant one. " 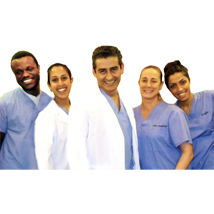 "Dr. Fattahi runs a professional, yet friendly office, and this has been one of my best dentist experiences by far. 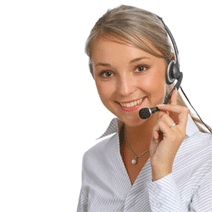 His staff is incredibly helpful, flexible, and nice." " I have a fear of the dentist but the staff put me at ease immediately with their professionalism, knowledge, and friendliness. Most importantly, the work that they did on my teeth was excellent and painless! I would definitely recommend him!!" "I don't believe I've ever met such a nice and competent administrative person at any physician's or doctor's office. " "RECOMMEND with both hands, and I'm looking forward to go back for my teeth cleaning in 2 weeks!" "This has been one of the best places I have been too yet. If you want people who really get the job done and keep your mouth happy this is the place. The rooms are nice with tvs too"
"Dr. Fattahi has been my dentist for over twenty years. He has assembled a wonderful team of professionals who are very caring in their approach to patients. " 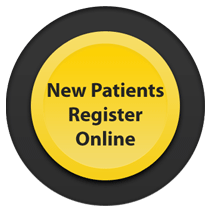 " it is refreshing to know there is someone in this area who practices true dentistry. I can't recommend this man highly enough. " " I had a slew of fillings to get done and a very difficult work-related travel schedule and he and the office made sure I could get everything done as I needed it. I'd highly recommend Dr. Fattahi to anyone looking for a great dentist. "